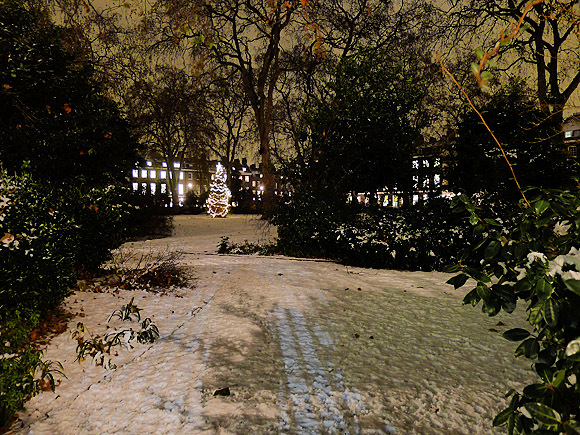 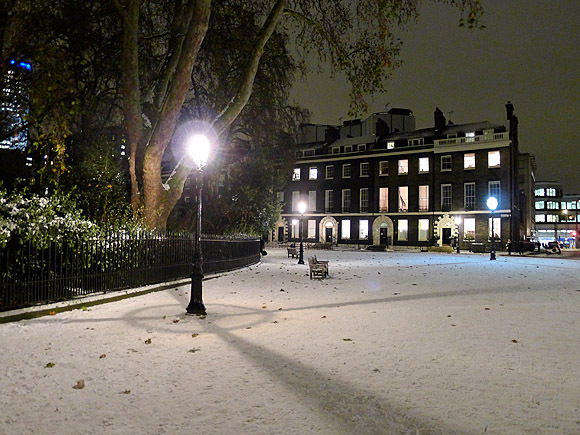 Photos of the beautifully preserved Georgian town square of Bedford Square, Bloomsbury, London in the winter snow, December 2010. 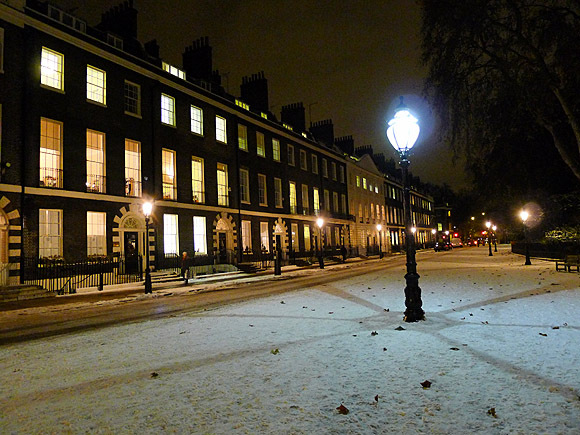 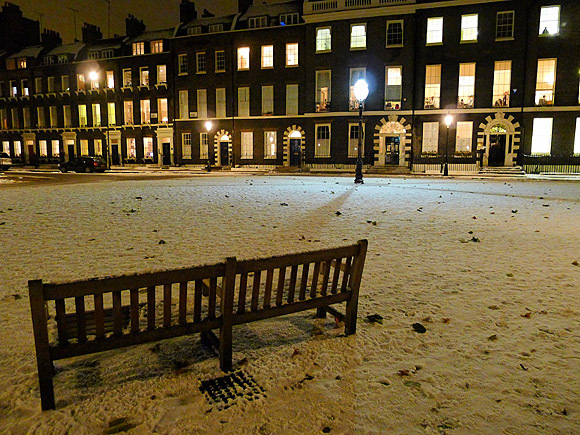 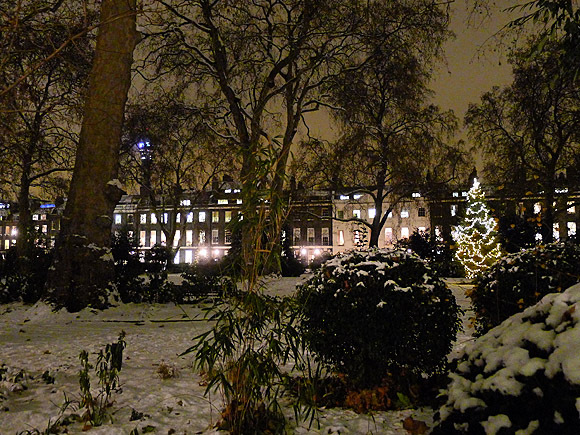 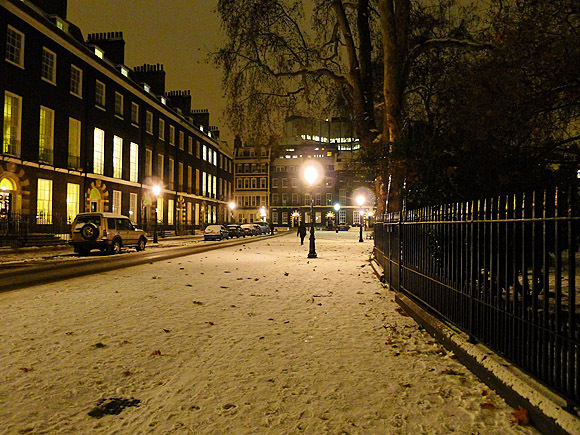 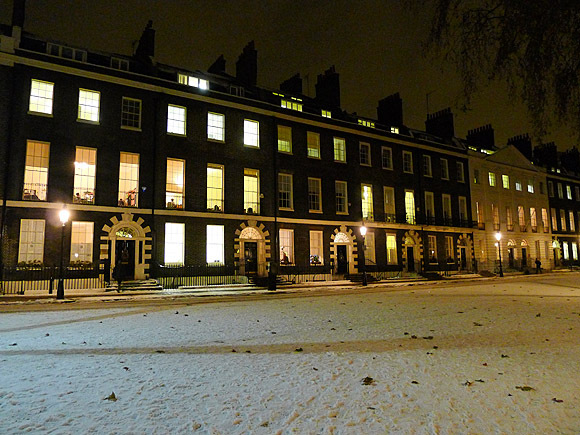 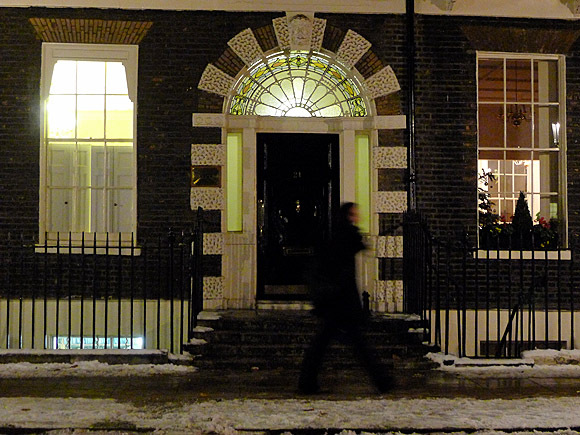 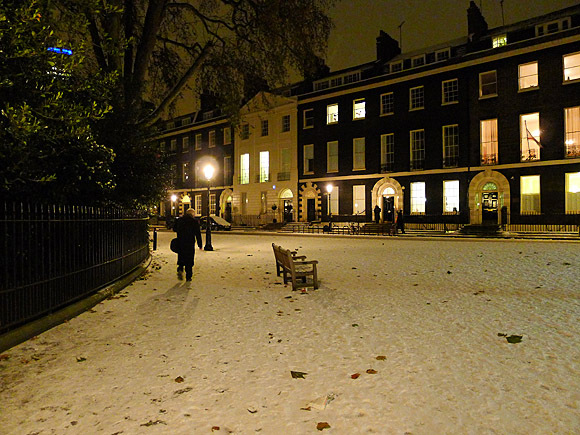 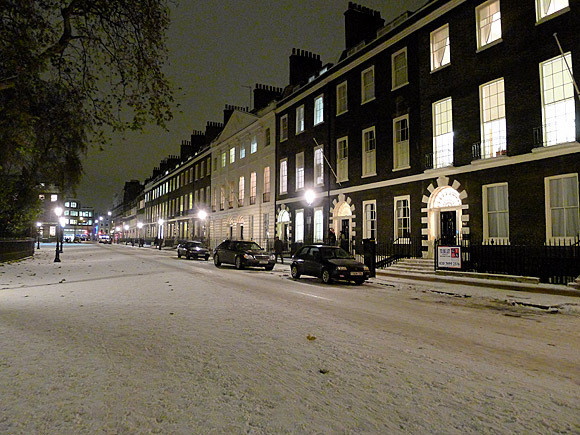 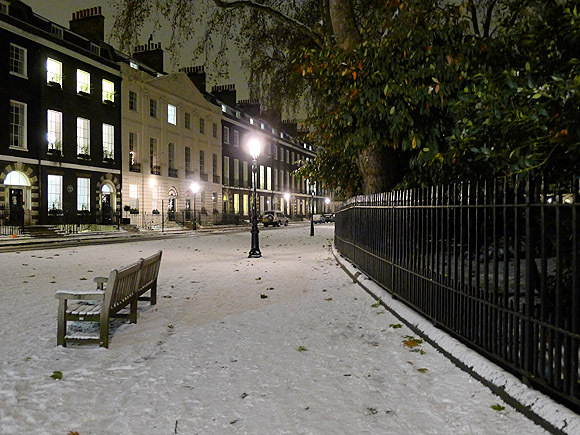 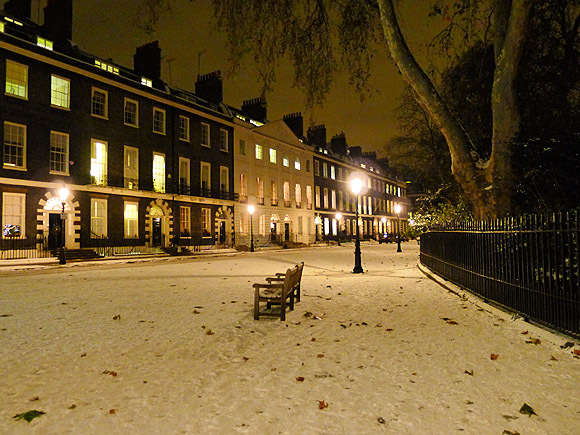 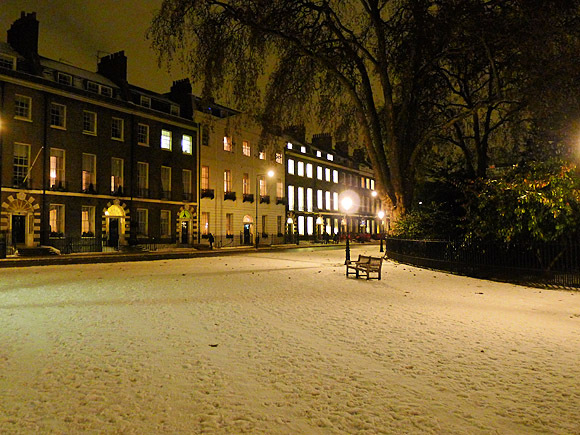 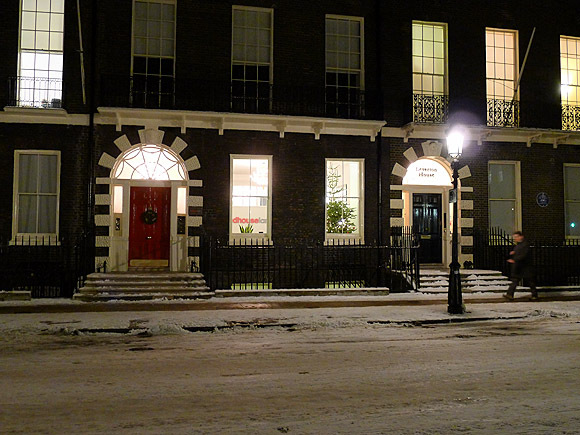 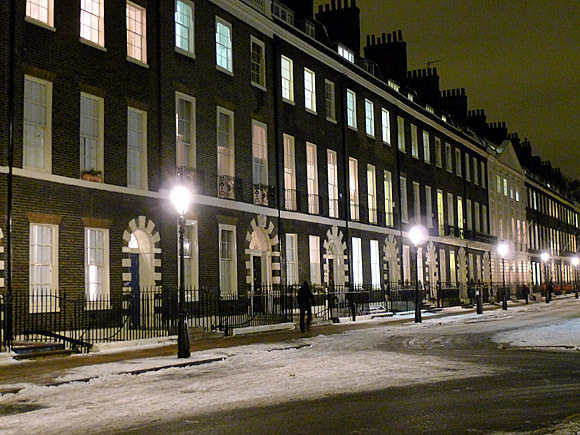 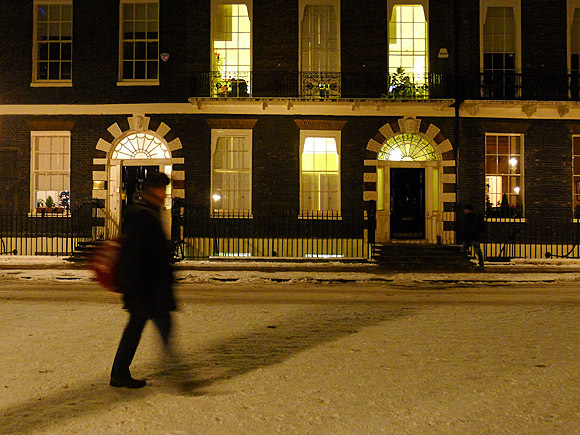 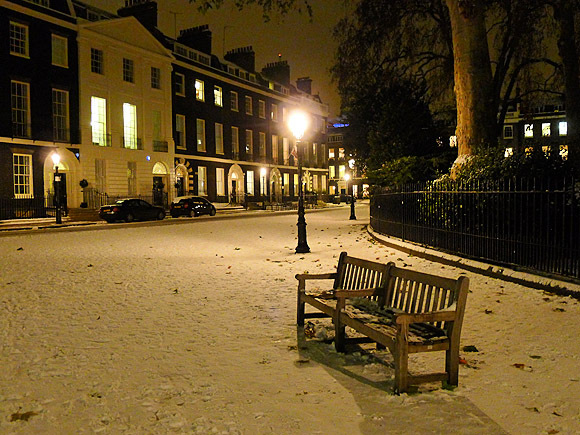 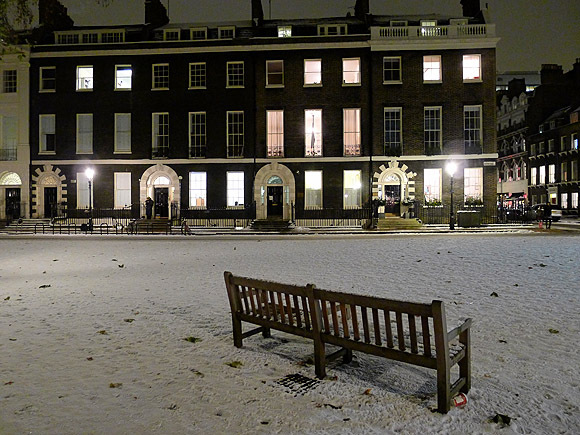 I've already written about Bedford Square's history - check out the article here - but I've never seen it looking so delightfully Dickensian as when it was covered in snow this week. 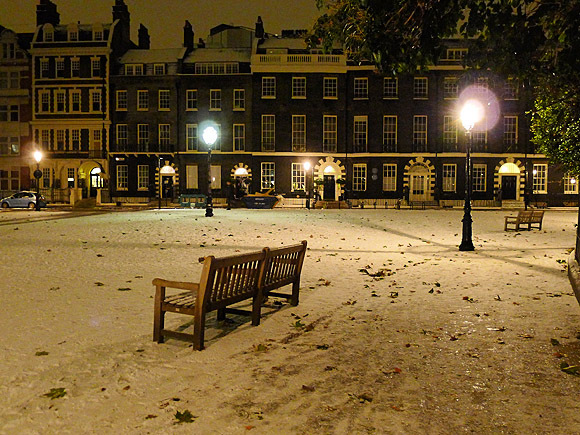 Photographed a couple of days after London had been battered by blizzards, the near-deserted square looked wonderfully Christmassy. 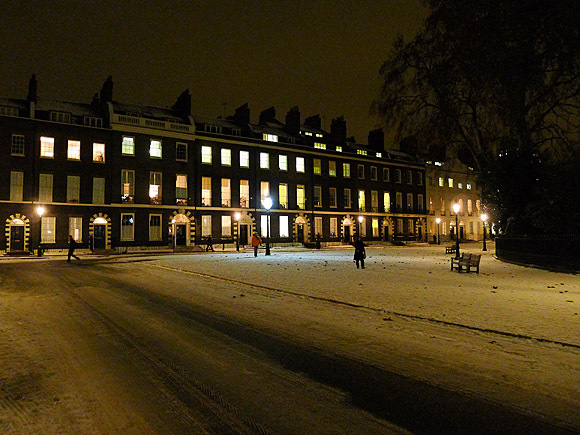 Here's some photos from my walk, as I crunched through the snow around the square. 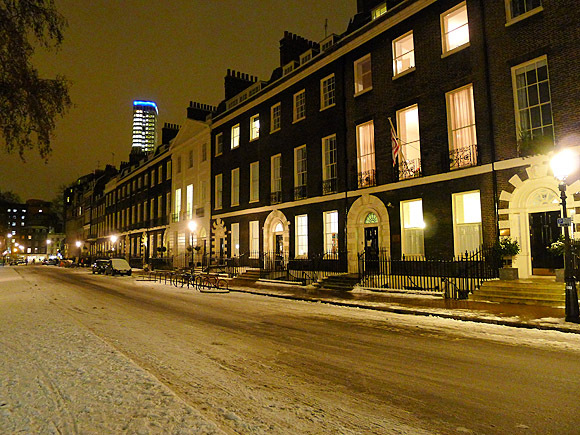 Towering above the square's roofline is the Centrepoint tower. 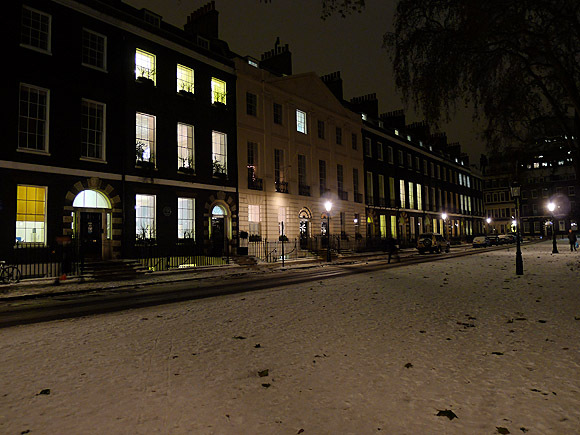 Trivia note: these were the houses where the contestants in The Apprentice 2010 TV show stayed. 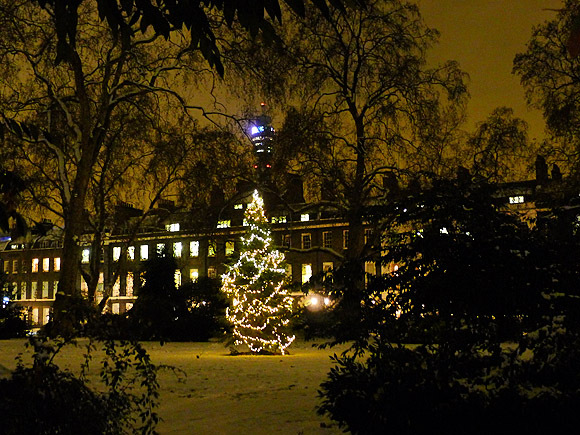 Christmas tree in the private gardens, with the lights of Telecom Tower visible through the trees. 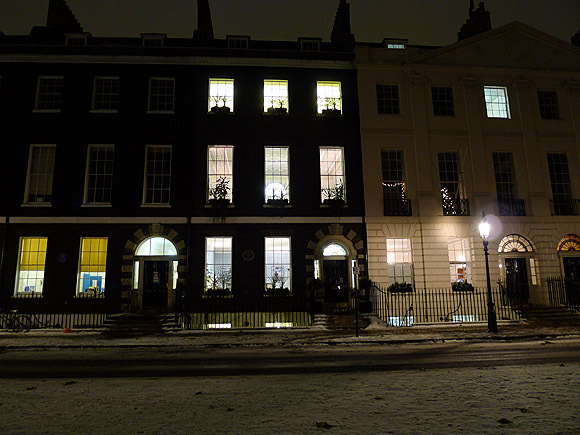 With a little bit of imagination, you could almost imagine you were back in Georgian times, perhaps after walking from Dennis Sever's house.